TASCMAR organized a special Session at the Multi-conference on Responsible Research and Innovation in Science. 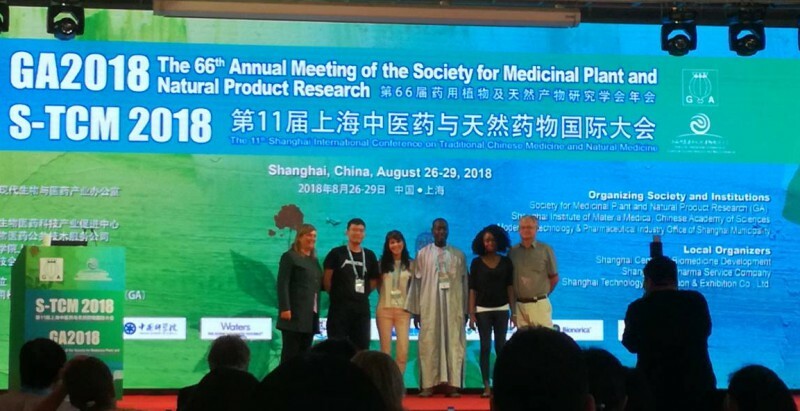 Our partners EcoOcean, iMare and Tel Aviv University presented three papers: Sustainability Strategy for bioprospecting in the Mesophotic zone in the TASCMAR..
Mrs Pinelopi Vlachou (PHD Student – University of Athens) received the “best poster award” in the frame of TASCMAR project on the 66th Annual Meeting of the Society for Medical Plant and Natural Product Research..
Students from the University of Science and Technology (HUST), Wuhan, China, visited the Pilot Unit of ICSN (CNRS) together with their supervisors, Nadine Assrir, Jessie Colin, Manman Xia and Alain Zozime. 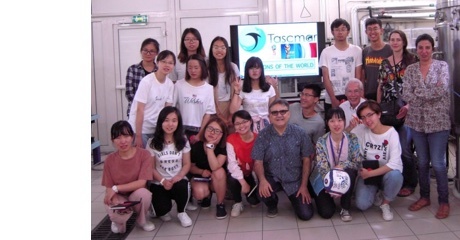 The visit was intense, full..
TASCMAR newsletter #5 has just been released! TASCMAR was at ACHEMA, the technology world summit for chemical engineering, process engineering and biotechnology which took place last month on June 11 to 15, in Frankfurt (Germany). 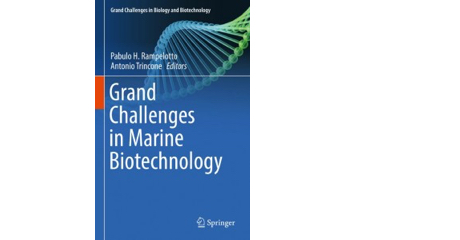 Pierre Guerin Technologies together with CNRS coordinator Dr. Ouazzani presented..
TASCMAR project is in ”Grand challenges in marine biotechnology” edited by Pabulo H. Rampelotto (Federal University of Rio Grande do Sul, Porto Alegre, Brazil) & Antonio Trincone (Istituto di Chimica Biomolecolare, Consiglio Nazionale delle..
SOMARTEX (Self Operating MARine Trapping EXtractor) is one of the breakthrough innovations recently patented in the context of TASCMAR. This technology is dedicated to the trapping of invertebrate metabolites in their natural habitat. It ensures.. 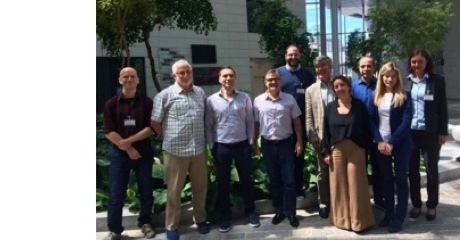 The TASCMAR steering committee (group of all work package leaders) met on 25 June, at the Martins EU Hotel in Brussels, Belgium. 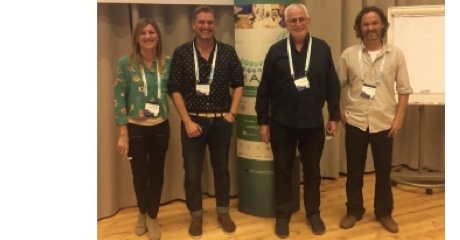 The meeting coincided with the Second reporting period evaluation meeting, held at Research Executive Agency of the European..
TASCMAR newsletter #4 was just released. 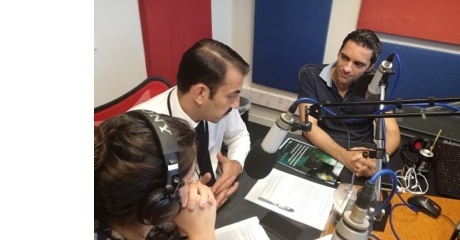 This time, the newsletter is dedicated to the Work Package 7 of the project – TASCMAR impact assessment: Challenges and opportunities for the assessment of a highly innovative, science-based, business-driven and..
Nicolas FOKIALAKIS (Department of Pharmacognosy & Natural Products Chemistry, University of Athens, Athens, Greece) presented the TASCMAR project on Radio Alpha 989 the 16/6/2018, in Athens, Greece. Please click here to listen to the podcast. The Asia Pacific Coral Reef Symposium seeks to provide a forum for scientists, educators, managers, environmentalists, and relevant local stakeholders from key organizations in the Asia-Pacific region to share their knowledge and experiences on all..
TASCMAR is a collaborative European research project funded by the European Union’s Horizon 2020 research and innovation programme, under grant agreement N° 634674.